Jurgen Klopp organised a behind closed doors friendly against Huddersfield, who are managed by his best friend David Wagner, today – but fell to a 2-1 defeat against the Championship leaders. Ovie Ejaria gave us an early lead at Melwood with a close-range header, but goals from Jack Payne and Chelsea loanee Kasey Palmer cost us a meaningless win. Klopp picked a team involving Liverpool’s non-internationals, which included James Milner, Danny Ings and Kevin Stewart from England, Roberto Firmino and Lucas from Brazil and Alberto Moreno. We’re pleased to see talented teenager Yan Dhanda also got a run out alongside senior stars, and are intrigued that Milner played right-back – suggesting he’ll move to the right of defence should Nathaniel Clyne ever pick up an injury. 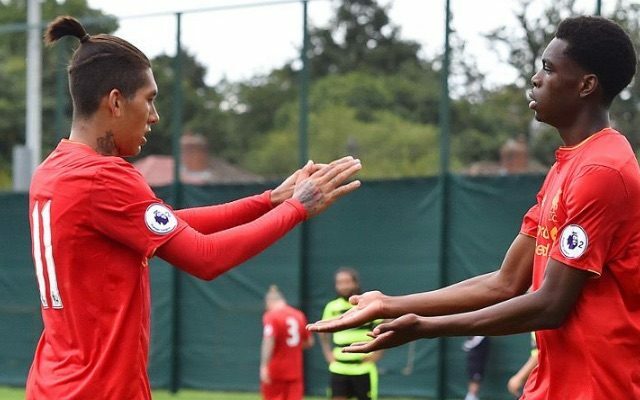 The official report states Firmino was dangerous early on and assisted Ejaria, but most importantly – nobody was injured! Liverpool: Manninger, Milner, Matip, Lucas, Moreno, Stewart (Maguire, 72), Ejaria (Phillips, 85), Firmino (Camacho, 86), Brewster (Chirivella, 57), Dhanda (Randall, 57), Ings.